Yesireebob! 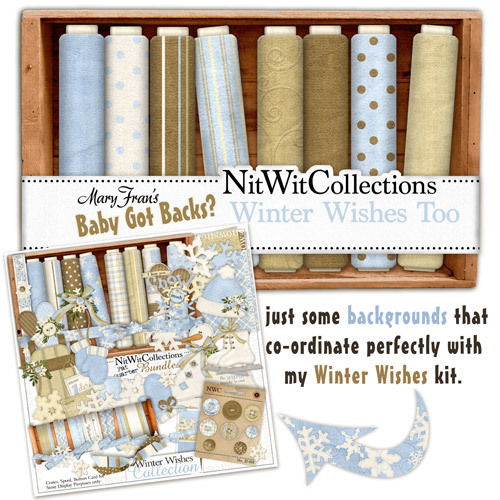 Okay so when I was putting my "Winter Wishes" kit together I had, as usual, made way too many backgrounds. I had a hard time narrowing down the patterns to be included in the kit and figured you may be like me and enjoy tons and tons of backgrounds too... so why not make a add-on of the extras? Hope that works for ya! !